Earn a total of 10¢/GAL for every $100 spent when using your Fuel Rewards MasterCard and shopping at non-participating grocery locations, dining out, on travel or on home improvement. 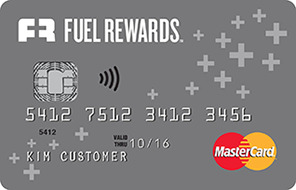 Earn 5¢/GAL for every $100 spent on all other purchases with your Fuel Rewards MasterCard. Gas and convenience store purchases are not eligible to earn Fuel Rewards savings. Fuel Rewards® savings earned through your Fuel Rewards Mastercard® expire on the last day of the month, two months after your rewards post to your Fuel Rewards account. The points can only be redeemed at participating Shell stations. As an example of what the rewards are worth when filling up for a maximum of 20 gallons. Kroger and Food for Less are a couple of the participating grocery stores eligible for the enhanced rewards. To apply for the card, first sign up for a Fuel Rewards Loyalty Card and proceed to the MasterCard application page. Account access is available here.